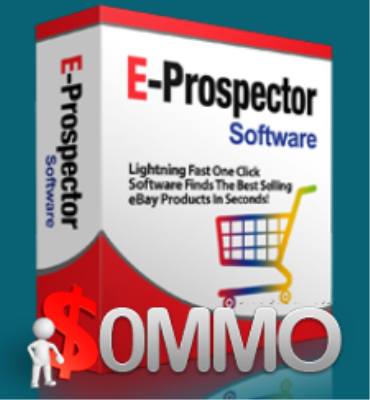 E-Prospector Software : this software tells you what the hottest selling products are on ebay sau you can exploit this ecommerce giant for more profits for yourself. You will have in your hands the keys to finding important information on the hottest selling and trending products on the ebay platform. Being able to digg deep into their records is huge, and the fact that you can get this information in seconds is even better. Feature #1: Category Search : Quickly get an idea of what products are hot based on their category. This software is setup with all the main Ebay categories so you can rest assured that you are research bases are completely covered! Feature #2: Clear Button : Software includes a "Clear" button so you can start over. Just like the old Nintendo systems with the reset button, you have a chance to reset your search without having to open the software up! Feature #4: Price : Sorting by price enables you to determine what products are selling at different price ranges, so you can better determine what product to sell. Feature #5: Offers : On Ebay there can be several different sellers of the exact same product. 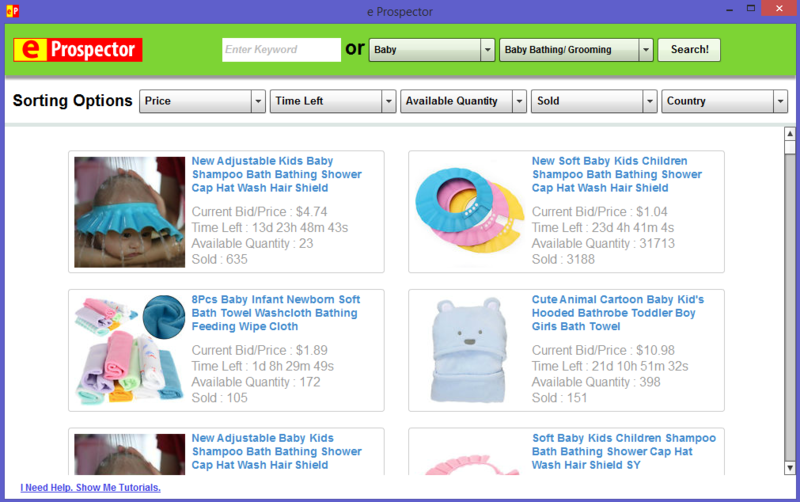 E-Prospector allows you to see how different businesses are selling the same products, so you can see demand and also view if the product you are looking at would have a lower competition. Feature #6: Reviews : On Ebay a product with a high number of reviews is almost all the time a product that is getting a pile of sales. This is one of the favorite parts of this software. You can use the 8 different sorting options for reviews to uncover those hidden gems that you can start to grow your business around. Feature #7: Keyword Research : If you have already settled on your niche market, or just want to sort through products using a certain keyword this software gives you that ability! You can run searches for any type of product and use the results to validate that you are going in the correct direction. With this keyword research option it opens up the capabilities of this software big time! Again, do not working program. For what I paid??????? Very disappointed!!!!!!!!!!!!! !